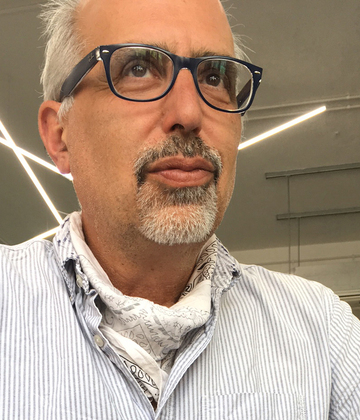 Robert Consoli spent more than 20 years working as a graphic designer for advertising and design agencies in the US capital city of Washington, D.C. He gradually worked his way up through the industry, from junior designer to creative director, before starting a second career in higher education after moving to the UK. Robert is currently a lecturer in digital media at the University of Hull where he specialises in teaching visual design at both undergraduate and postgraduate levels. His university career gives him the opportunity to theoretically explain the design processes that he intuitively applied as a working professional.